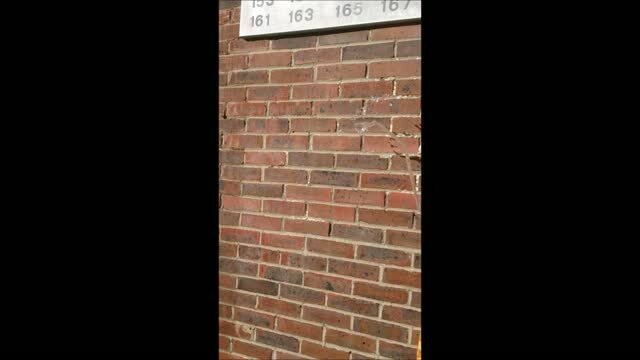  Above is a short video showing a wall before being weather sealed and then after it has been treated - watch the water run off of the wall. When your external walls are exposed to a water source such as rain, this water can enter your masonry, in some cases travelling laterally from your external walls to your internal walls. It may be that cracks in your bricks or pointing are letting the water in, or your prevailing weather conditions may just mean that your walls stay damp without getting the opportunity to dry out. Any cracks in your pointing and brickwork can cause a difference in the water absorbency of different areas of your walls – some areas will absorb more water than others. This can form damp patches in what is known as penetrating dampness. Alternatively, it can be that some areas of your wall are more exposed or more susceptible to letting water in, despite being sound, and this can also cause damp patches to form, or a large, uniformly damp area. This can spread to your internal walls too, resulting in patches of damp on your internal walls. At Vac-xtract, we recommend using a brick waterproofer that allows your brickwork to breathe, as without this the damp already in your walls can't evaporate and allow your wall to dry out. Therefore many customers like to use this service as well as an extraction or solely on its own. Please call us for further information on Weather Sealing and repointing. There are many reasons why your external brick walls might be getting damp, and not all of these problems can be solved by using a brick waterproofer. A waterproofer is usually only used as a solution for sound external walls that are exposed to enough rainfall that they just become damp – if water is getting into the walls because of a fault of some kind, such as cracks in your bricks or pointing, then you will need to fix this before applying any waterproofer - in this case, once you have fixed the issue you can apply waterproofer as a preventative measure against future damage.